Say Goodbye to Dry, Itchy, Flakey, Starved Skin & Scalp with our Design Essentials Scalp & Skin Care Collection! 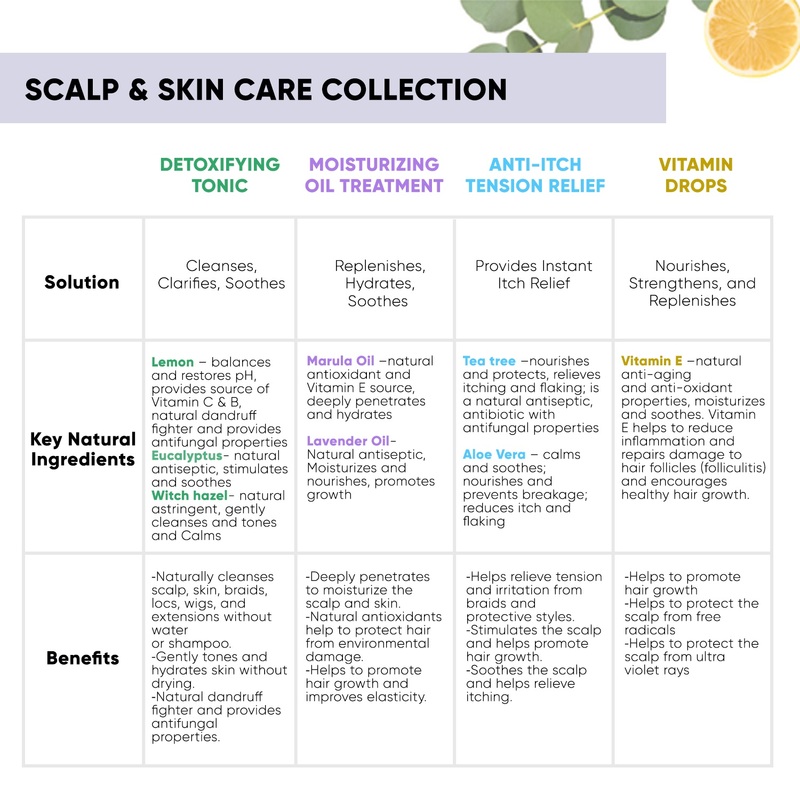 This dermatologist tested collection offers targeted solutions using natural ingredients to cleanse, replenish, repair, and nourish the scalp and skin to optimum health. With an easy to use needle nose applicator, this collection offers maximum convenience and ease of use. Try all 4 today! Apply a targeted Scalp & Skin Care solution directly to the scalp/skin, parting using the needle-nose applicator. Massage onto scalp/skin, focusing on the affected areas. Leave-in or rinse out as desired. A collection of natural ingredients formulated to cleanse, replenish, nourish, protect and solve scalp and skin issues with the same sensitivity and care as facial product treatments. Natural Ingredients...Targeted Solutions. Step 1: Apply directly to scalp, parting thoughout the head. STEP 2: Massage into scalp. STEP 3: Leave in or rinse as desired. I opened my box today and had only 3 items. It should have been 4. Not sure it’s worth my time and effort.